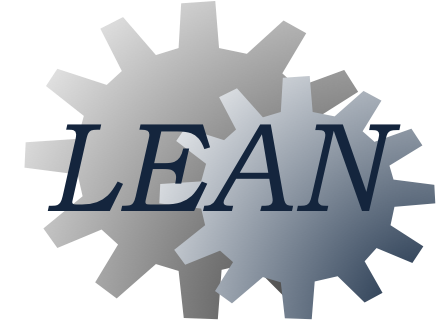 The concept of Lean was recently popularized within the technology community by Eric Ries’ 2011 book, The Lean Startup. However, it may come as a surprise to some entrepreneurs, that the principles of Lean Thinking were developed decades ago and have been adopted by some of the leading global industries, particularly manufacturing and logistics, and proven to create significant value. I was fortunate to start my career in high volume electronics manufacturing, while working for The Ford Motor Company (within its electronics division) during Ford`s epic battle for survival in the 1980`s against fierce Japanese competition. 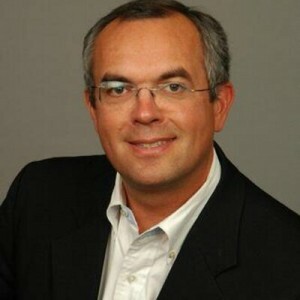 The senior management of the company had the vision to realize that radical change to business practices was required. They picked one business unit to prototype their ideas for change, which happened to be where I was working. For over 6 years, I was immersed in implementing lean thinking in leadership, manufacturing, quality, product development and customer service. I ultimately took this experience with me to Pirelli Cables and Optical Systems where I lead a team in the extraordinary turnaround of the company from losing $1M a month to making $1M per month, and turning the Canadian operation into a global leader in productivity and profitability. The basis of the entire turnaround was the implementation of lean system principles: continuous improvement, respect for people, elimination of waste and the focus on value creation for the customer. What did my experience with lean teach me that is most is relevant to your business today? Lean is a Proven Strategy: Lean is proven. It has produced significant improvement for thousands of companies. It is not necessary to reinvent the wheel, only adapt a proven and existing system which is readily available, easy to understand, and then apply it to your own business. Lean is Focused on the Customer: The foundational principle of lean is to focus all value added activities on your customer, and to remove or mitigate, all non-value activities. This customer focused approach is critical to a high growth technology company, and all other activities should be aligned with the customer including financing, product development, and administration. Lean Is A Culture not a Tactic: Companies which have successfully implemented lean thinking fully embedded it into the culture, so it is pervasive at all levels of the company across all activities. Like innovation or entrepreneurship, Lean is something a company is, not something a company does. Lean Makes You Money: By focusing on the customer and by stripping away non-value added activities, your precious capital is precisely deployed and significantly levered. This improves sales, gross margins, and cash flow, which will mitigate the need for external financing. What did I learn about lean that you can apply to your business today? Here are the most important lesson that you can apply to your own business. If you are in start-up mode, outsource as much activity as possible (particularly non-value added – defined as no direct value to the customer), and become experts at the customer focused value added activities. Make continuous improvement a habit within your company by applying the PDCA Cycle (Plan-Do-Check-Act) regularly. Implement customer focused Key Performance Indicators (maximum of 6) and review them regularly. Rigorously review all activities and spending, and then either eliminate or significantly reduce activities and spending not directly aligned with creating value for the customer. If you are the CEO, spend 50% of your time in the business (mostly with future prospects and current customers) and 50% of your time on the business (implementing improvements based on a system such as lean). It won’t happen overnight, but if you focus on building a culture around this principles, your customers will be happy and your business will grow.